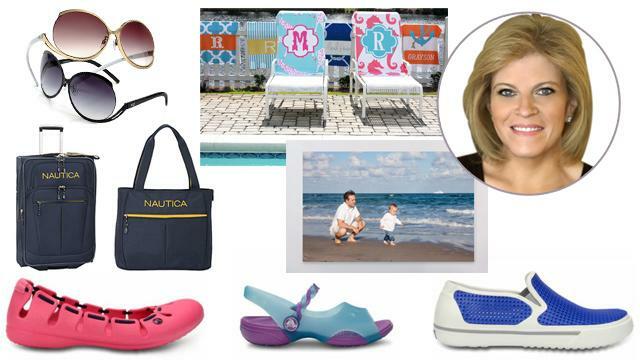 Spring is in the air and "Deals and Steals" has must-have items to enjoy the season. From canvas posters of photographs, perfect for a graduate or for Father's Day, to trendy sunglasses, monogrammed beach towels, Crocs and indoor/outdoor Bluetooth speakers, these products will help you take in the warm weather ahead in style. Want another deal from Tory Johnson? Watch "GMA LIVE!" coming up at 9 am ET HERE for another exclusive deal. 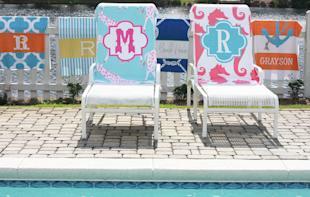 Make a statement at the beach or pool this summer with luxurious, personalized towels. Made of soft microfiber velour, these 30” x 60” towels are absorbent, lightweight and quick to dry. The custom design is printed directly on the beach towel so it won’t fade, peel or wash out. Personalize anything from the background design, frame and if you want your name, monogram or initials to be featured; there are over 50 possible combinations. Perfect for summer camp and vacations. Shipping is $10.95 or free for orders over $150. Todaywhen you purchase the deal, you'll receive an email voucher within 24 hourswith instructions on how to design your towel and place your specific order,which must be complete by May 31. 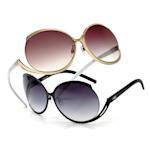 Just in time for spring and summer, protect your eyes with on-trend sunglasses. Aquaswiss products are often seen in gift lounges for the major award shows and the brand is a celebrity favorite. Inspired by top trends, there are many options to choose from in a wide variety of styles, colors and shapes for men and women. Free shipping! Turn your favorite photos, especially those from graduation, into art on canvas. Handcrafted in the USA, CanvasPop will print images from just about any source, whether it’s uploaded from your computer, phone or Facebook. These canvases come ready to hang and they’re a great way to display your loved ones. Three sizes are available; 8” x 10”, 16” x 20” or 18” x 24”. Limit 2 per person. Shipping is $14. Keep your feet cool in trendy, colorful footwear styles this summer. Crocs keeps comfort and style in mind with these fun designs that are available for the whole family. Options include the CrosMesh Slip-On Shoe for men, Emelina Sandal for girls, Chameleon Clog for boys and the Springi Flat, a women’s slip-on with footbed nubs for a massage-like feel. Shipping is $4.99 or free for orders over $60. Take your music with you -- whether you’re going for a bike ride, having a gathering in the backyard or at the beach. NYNE puts a current twist on the traditional boombox with the use of Bluetooth. You now can wirelessly stream music from your smartphone or tablet just about anywhere. Perfect for both outdoors and indoors, each speaker produces superior sound while remaining portable with up to five hours of battery operation and also features a built-in microphone for hands-free phone calls. Two options are available, including the smaller version that comes complete with custom clips, which allow you to attach it to pieces like strollers or exercise equipment. Limit 1 per order. Shipping is $7. Prepare for your summer vacations with durable, high-quality luggage pieces. eBags, one of the largest online retailer of bags and accessories is featuring travel items from well-known brands including Nautica and Samsonite. 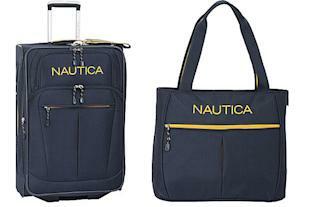 Pack all of your essentials in these essentials that include a 21” carry-on, 25” upright roller bag and 17” tote bag. With all of the pockets and storage space, you’ll be sure to have as much room as possible. Free shipping!